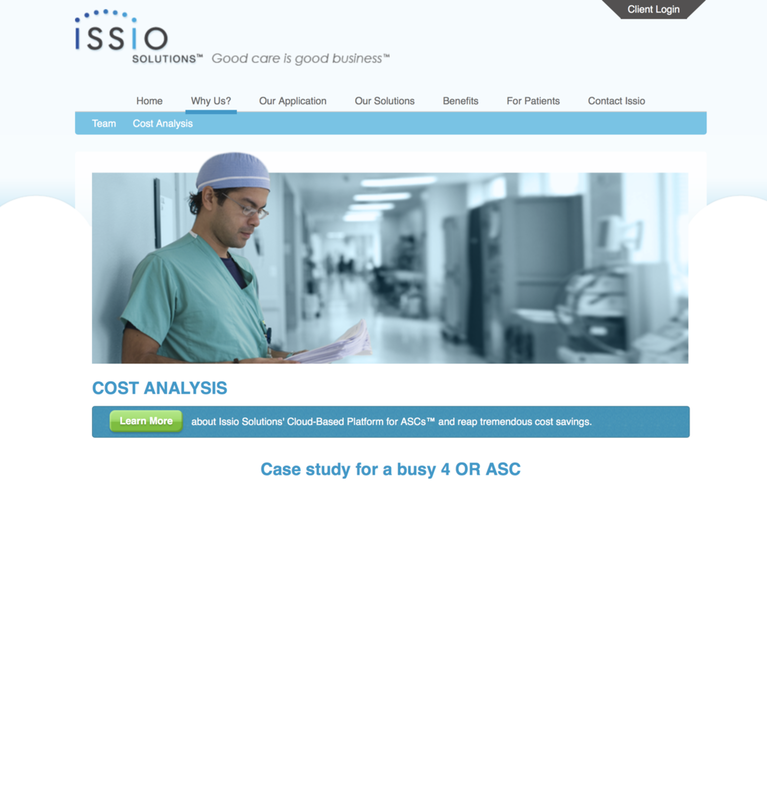 Issio Solutions provides cloud-based workflow solutions for ambulatory surgery centers, including practice management tools, ASC-specific EMR solutions, and IT and consulting services. We helped the anesthesiologist turned entrepreneur promote his cloud EMR application – ground up. Aspen Surgery Center agreed to be their beta site.